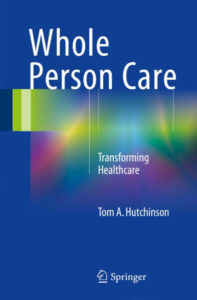 A review of "Whole Person Care: Transforming Healthcare" by Tom Hutchinson, MB, McGill University. Tom Hutchinson’s new book, Whole Person Care, is timely especially for us in the United States. It diagnoses with precision the quagmire we face in the American medical profession as a result of years of thoughtless genuflection at the feet of our business model of caregiving. Our mess has been created by an unholy alliance between the crusading business experts charged with “bending the cost curve” and reducing the percentage of GDP we pay for health care with the most reductionist aspects of modern medical science. Guess which essential part of human caregiving has been given short shrift? Yes, you guessed right—the human part. Hutchinson masterfully gives voice to the absolute necessity to call a halt to the demise of our vocation. Our vocation is to fully care for our fellow human sufferers by employing the best of modern science in an effort to cure AND the best of our interrelatedness in order to heal. Take the saga of the vaunted role of the electronic health record (EHR) in solving the problems of medical care as an example. The EHR represents an advancement in our cognitive capacity that has been oversold as an answer to modern medicine’s problems, perhaps because what it does best is perform as a world class billing tool. In 2001, the Institute of Medicine’s “Better Care at Lower Cost” Report listed the “digital infrastructure” as their No. 1 recommendation. We now realize how ludicrous this was, and in 2017 even IOM’s successor organization, the National Academy of Medicine, acknowledged that the EHR is not our No. 1 need. But still, certain healthcare organizations will spend more than a billion dollars to install the EPIC EHR system in their hospitals. In 2015, Lisa Rosenbaum, MD, wrote an NEJM article on the EHR and the disruption of medicine. She mentions the disruptive transitions of moving from volume based to so-called “value based care,” the overreach of “meaningful use” metrics, the fact that physicians are administrators now and not doctors, and the fact that you can accumulate a lot of data that has very little clinical meaning at the end of the day. it requires the ruthless efficiency of the modern manufacturing plant and the gentle hand holding of the parish priest; it is eminently quantifiable and yet stubbornly not. Hutchinson’s book focuses on the very real power of the “gentle hand holding” tradition in medicine to heal human suffering even when we have no curative answers. This is what he means by integrating the very best medical science with what he calls “mindful clinical congruence” in addressing the vocational vow we’ve taken as physicians to provide care of the whole person who comes to us with hope and trust. Hutchinson also refers to Wachter in his chapter on “The Digital Doctor.” There’s growing recognition that while the EHR has a lot to offer in terms of data sharing amongst physicians, it also comes at the cost of intimate connectedness between patients and their doctors. Hutchinson achingly laments the gulf that has opened up between doctors—chained to their necessity to meet RVU requirements by writing their billing notes with sufficient CBT coding elements—and their patients. As a result, many doctors today face the choice of neglecting their patients by looking at the computer screen and feverishly typing their templated notes during the patient visit, or spending an extra week per month on average catching up on their notes at home. Is this what is meant by “value based care?” Perhaps the answer is not “the ruthless efficiency of the modern manufacturing plant” after all, especially when the system now being put into place cuts the hand off the parish priest! Hutchinson addresses the double-hit such a system delivers to the face of medicine—patients feeling uncared for, and doctors becoming burned out. This is an unsustainable condition with a very poor prognosis for the healthcare system. Hutchinson has a prescription—whole person care. In eighteen superbly written and succinct chapters that read like meditations, we’re reminded about our heritage as curers and healers and are taken on a journey that illuminates how we’ve come to this pivotal point in our profession’s history. We’re bequeathed the scientific tradition of Hippocrates as well as the equally important tradition of Aesklepios, the Greek god of healing. One of this book’s great strengths is that Hutchinson pours his soul into personal narrative. We learn of his maturation as a doctor, his poetic Irish sensibility about life, and his experience as a nephrologist caring for very sick end-stage renal disease patients. 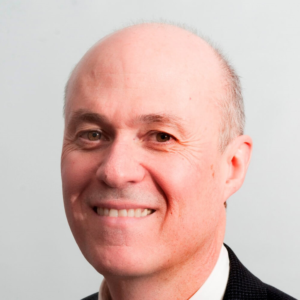 Hutchinson also reveals how his decision to pursue training in palliative care led to his insights about how the crucial role of healing in patients with terminal illness has the potential to inform a renaissance of caregiving in all of clinical medicine. In palliative care, the doctor strives to bring his or her full self to the clinical context. This is in recognition of the suffering patients experience when an illness represents a potential separation threat to themselves. 2.) Clarify the prognosis from the patient’s perspective. 4.) Create a healing relationship. Mindful practice requires focus on the patient as a whole person through attention to the connections that make the person unique and separate from their disease. This leads to radiance—awareness of the patient as a whole person. Physicians through the ages have been honored for their ability to provide the solace of attachment solutions for their patient’s separation challenges. This “mindful clinical congruence” means bringing our full selves as doctors to the clinical context. This is enabled through the learning and practice of mindfulness meditation and the enhancement of resilience in all its dimensions as buffers against burnout. Hutchinson, with the inspiration of the wise founder of palliative medicine in North America, Balfour Mount, MD, has created a remarkable four-year medical school curriculum at McGill in mindful medical practice. Let’s hope it catches on in other medical schools. We’re Getting CLOSLER to the Super Bowl!